This is a piece of work I entered for the Serco Prize for Illustration 2014 towards the end of last year. 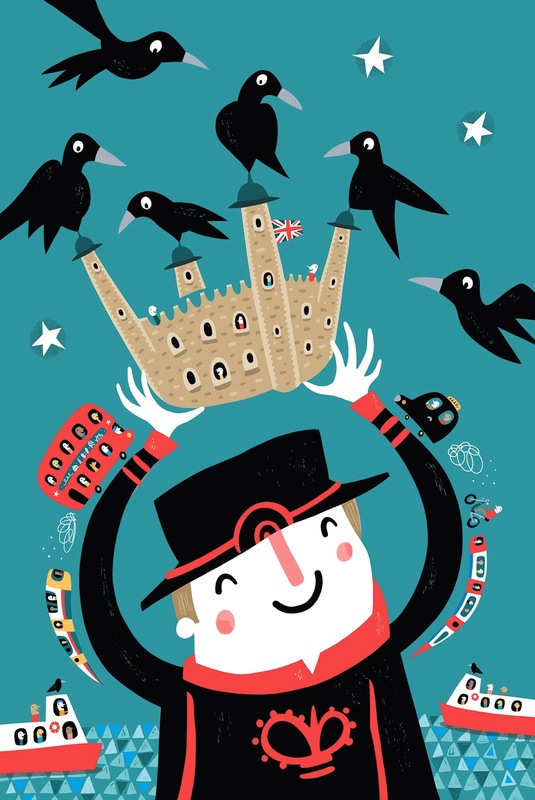 I'm pleased to say the illustration entitled "The Guardians of the Tower" has been shortlisted for the exhibition which opens Friday 14th February at the London Transport Museum, Covent Garden. The brief was to produce a poster on the theme of "London Stories" and I chose to illustrate the legend surrounding the Tower of London. Legend has it that six ravens must guard the Tower at all times, otherwise the Tower will fall into the Thames. Whilst producing the work the legend was put to the test when a fox got into the Tower and two of the ravens were killed. For details of the exhibition please click here.